Click on "Gallery of Fossil Horses" to find out how horses evolved. 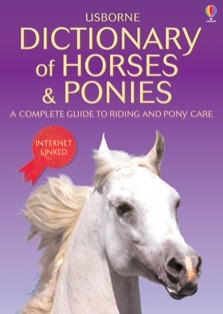 This book is full of wonderful information about my favourite animals horses and ponies. I used to ride a wonderful pony but this year he sadly died then I went on to a lovely pony and I have been learning lots of difficult things so this book has been a great help.